Some time ago, I wrote a post about how the writing of Megan Abbott and David Peace could be seen as ‘Ellrovian’. Both writers have expressed their admiration for the work of James Ellroy, but, as I was to discover while researching the piece, for every element of their writing which is recognisably Ellrovian there are other things which could be identified as a distinct break from Ellroy’s style; Abbott’s femme fatales seem to be a form of noir feminism, and Peace’s deeply embedded socialist views are profoundly different from Ellroy’s Tory Mysticism. I’d like to expand this study of the Ellrovian influence on crime fiction by looking at two other contemporary writers whose work I admire – Craig McDonald and Stuart Neville. Firstly though, a disclaimer. I’m not trying to lumber these writers with the term Ellrovian. They’re both very good writers and you could look at their work in a hundred different ways. In this piece I’m just trying to pick out a few specific things. So if you like these writers, but you hate James Ellroy, look away now! Craig McDonald has interviewed James Ellroy on multiple occasions and is very knowledgeable about his work. On the surface, McDonald’s novels featuring the grizzled, laconic novelist Hector Lassiter couldn’t be more different from Ellroy’s work. Despite an early fondness for confessional narratives, Ellroy has never had a character who is a novelist in his books. 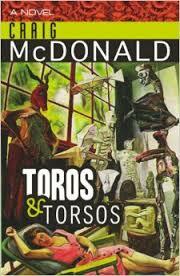 Although Ellroy’s work is neo-noir, McDonald is much more interested in art movements than genre. Even Ellroy’s fascination with German Romanticism seems coldly intellectual compared to Lassiter, who ‘writes what he lives and lives what he writes.’ But if you look at the second novel published in the Lassiter series, Toros & Torsos (2008), you can see a thematic debt to Ellroy. McDonald states the novel was ‘inspired by haunting concepts put forth by authors Steve Hodel, Mark Nelson and Sarah Hudson Bayliss.’ This goes back to Ellroy’s seventh novel The Black Dahlia (1987), which put him on the map as a crime writer. The unsolved murder of Elizabeth Short (aka the Black Dahlia) has been a lifelong obsession for Ellroy, evidenced in the fact that she reappeared as a character in his latest novel Perfidia (2014). Steve Hodel is the ex-LAPD detective and true crime writer whose theory that his father George Hill Hodel murdered Elizabeth Short captivated Ellroy (at least for a while). Hodel’s Black Dahlia Avenger (2003) is a fascinating read which draws a detailed picture of both LAPD corruption and the surrealist movement in the 1930s and 40s. His theory that the murder was connected to his father’s admiration for the work of surrealist artists oddly parallels Ellroy’s fictional solution in The Black Dahlia. And that’s one of the many incidental pleasures of Hodel’s book, no matter what you think of the theory that his father was the Dahlia killer (for my part I think he’s right; McDonald and Ellroy discuss some of the flaws of his research in an interview titled ‘James Ellroy: To Live and Die in LA’) you cannot help being drawn in by the seemingly endless ironies, coincidences and famous names that are connected to the case one way or the other. For a comprehensive picture of the ‘web of connections’ between George Hodel, surrealism, Hollywood and the Dahlia murder do read Mark Nelson and Sarah Hudson Bayliss’ Exquisite Corpse: Surrealism and the Black Dahlia Murder (2006). Well. Sometimes you can finish a book, have a lot of great things to say about it and at the same time feel completely inadequate to the task of articulating it all. That’s me. That’s this book. I’ve spent three days trying to write a coherent review that encompasses the scope, depth, style, and intrigue of this book. I can’t do it, I haven’t the skill or talent. Hell, I’m not even sure I’ve really got my head around the whole story yet. The scope of the book covers more than just a lot of time: Natural disaster, art, politics, espionage, friendship, betrayal, murder, vice, psychology. I feel the same way as Wilde. I found the novel gripping, moving and thrilling, and yet I was still trying to get my head round several plot points for days afterwards. I’m not trying to say its incoherent, on the contrary, everything works. I wasn’t sure if the four different settings would hold together, but each is as carefully drawn as the other. And whether you are reading about the devastation of a hurricane or of wartime Spain, both settings feel intrinsically romantic. Here the novel became reminiscent of Ellroy’s LA, where the seduction of a locale lies in its darkness. As a writer, McDonald is very interested in the act of creating art. For Lassiter and Hemingway, words can come alive with entrancing, but also sinister possibility. The ‘exquisite corpse’ and ‘one true sentence’ games are consistently referred to until it becomes apparent that abstract concepts are being brought to life with terrifying results. Ellroy, by contrast, is more interested in the bureaucratic nature of words, as seen in the proliferation of articles, memorandum, transcripts and all manner of official documents that give his later novels the appearance of a massive, impenetrable archive. The novel almost counter-intuitively takes the flaws of an art form and turns it into something tangible and engrossing. You get a great sense of what it must have been like to be at the birth of surrealism, its zenith and subsequent decline. It’s hard to grasp now how often the proponents of aesthetic movements seem to think they have changed the world and all culture will have to imitate them for evermore. The arrogance is almost dripping off the page. Surrealism comes across as the punk rock of its day, a flame that burns brightly for a few seconds and is suddenly extinguished. If McDonald is satirising how critical appreciation for an art form can be misguided, then it is appropriate that much of the humour of the novel comes at the expense of a fictional critic – Quentin Windly. Lassiter and Hemingway love mentally, and sometimes physically, torturing Windly so much that I began to wonder if McDonald took these scenes a bit too far, especially as every reader is essentially a critic. His presence is not entirely superfluous, as he is a suspect in the murders, but his reappearance towards the end is so completely signposted that I didn’t think this justified his role as comic diversion. At the risk of sounding like the loathsome Windly himself, I thought this was the one false note of the book, or am I just having a sense of humour bypass? All in all though, whether you like the Ellroy connections or not I would highly recommend Toros and Torsos as a gripping and compulsive mystery, and one of the best novels I have come across to explore how an art movement is defined by its time and setting. But if the surrealists were to be believed, art defines its time and setting. Stuart Neville and James Ellroy have one fairly unambiguous connection – they both share the same agent. Agents get a lot of stick: ‘He just takes ten per cent of your life’ as Chandler put it, but when you look at what literary agent Nat Sobel has done for the career of Neville and Ellroy, I start to ask myself if he’s still accepting clients. Stuart Neville was an aspiring but unknown writer when he had a short story accepted for ThugLit. On the basis of this short story, Sobel emailed Neville to ask him about a novel he was writing. That novel was The Twelve (2009), and it made Neville a star of the crime genre, helped in no small part by the fact that Sobel was representing him. This was the genesis of Neville’s career as a novelist, and one might say Sobel has an equally strong claim to kickstarting Ellroy’s career. In the early 1980s, Ellroy had published two novels but suddenly faced a series of rejections for his manuscript ‘L.A. Death Trip’. It was a meeting with Otto Penzler, and subsequently Nat Sobel, that put his writing caeer back on track (for a full breakdown of these events read my article ‘The Two Men Who Saved James Ellroy’s Career’). In their writing, you can see many other connections between Neville and Ellroy. 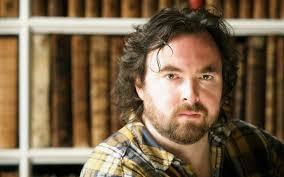 Neville sets his novels, with the exception of Ratlines (2013), in the complex world of post-Troubles Northern Ireland. If McDonald’s work reminds me allusively of Ellroy’s LA Quartet, then Neville’s is more akin to the Underworld USA trilogy. His portrayal of the six counties is of a land less violent since the Good Friday agreement but no less murky and corrupt. In Collusion (2010), for example, terrorists have reinvented themselves as politicians, but the less savvy have simply become gangsters. Loyalists, Republicans, and the Intelligence services all jostle for the most lucrative political positions, sometimes forming loose alliances but more often than not in competition with each other. This reminds me of the complex web of relationships Ellroy weaves between the FBI, CIA, organised crime and Cuban exiles in American Tabloid (1995). Neville is a native of the province, and while his portrayal of Northern Ireland is oddly affectionate and alluring, he understands that it is the one part of the United Kingdom that sometimes feels curiously foreign to people from the other home nations. Although, as Northern Ireland slowly becomes as secular as the rest of the UK it’s hard to believe now that the Troubles were, in part, a religious conflict. In one of his novels, I can’t remember if its The Twelve or Stolen Souls (2012), one former IRA member moans that Belfast and Dublin are becoming so multicultural that in a few years there will be no recognisably Irish Ireland for them to unite (I didn’t realise IRA members read the Daily Express). Of course, there are distinct differences between Neville’s writing and Ellroy’s work. The Twelve revolves around the efforts of ex-IRA paramilitary Gerry Fegan to rid himself of the ghosts of the twelve people he killed, who haunt him everywhere he goes. Neville never lets the story stray too far from the psychological and into the paranormal, but with its ghostly theme, the novel reminded me more of the work of James Lee Burke than Ellroy. So, like Craig McDonald, Stuart Neville embraces many influences as a crime writer and to spot the Ellrovian themes and connections is just one of the many pleasures of reading his novels. Perhaps the irrefutable proof that McDonald and Neville are true Ellrovians is that they are both admirers (as am I) of Ellroy’s controversial and critically divisive The Cold Six Thousand (2001). Neville mentions liking the novel in this interview, and McDonald discusses the novel with Ellroy in the aforementioned ‘To Live and Die in LA’ interview. Interesting piece, as ever Steve. McDonald/ MacDonald really is a feted name in the world of Crime fiction, isn’t it? Thanks Tony. Yeah Ross, John D. and now Craig. Maybe I’ll change my name. Steve, thank you so much for your very thoughtful and knowing reflections regarding T&T. As to that surname, there was also, of course, Gregory Mcdonald, father of the Fletch series. Craig, it’s a fantastic novel and a pleasure to write about. I’m looking forward to reading more about Lassiter, especially the forthcoming Death in the Face as I’m a huge Fleming fan like yourself. Thanks for the extra McDonald. I confess I’ve never read the Fletch series, but as I enjoyed the films (and people always the books are better) I’ll add him to my list. I read the Fletch series a long, long time ago and they were clever and fun. Then Ken Bruen directed me to Mcdonald’s “The Brave,” which he described as “a world apart from Fletch.” That was heroic understatement. The darkest most transgressive and uncomfortable read of my life. Even more amazingly (I don’t how it ever found a mainstream publisher) was the the fact it was late adapted for film with Johnny Depp. There is noir, and there is whatever “The Brave” embodies.